Lightroom Classic Tutorials > Catalogs > Backups > Catalog corruption – how does it happen and can it be prevented? 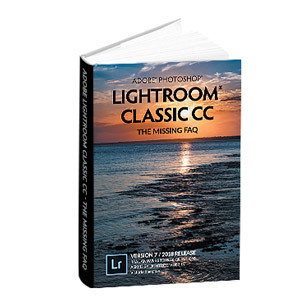 Phil’s right, there are a lot of threads about corrupted Lightroom catalogs. So does this mean your catalog is likely to spontaneously combust? No! Reports of catalog corruption are relatively rare compared to the number of people using Lightroom, but people visit the forums when disaster strikes. To save you worrying though, it’s worth learning a little more about preventing issues. The Lightroom catalog is an SQLite Database, and like every other database, it can become corrupted. In almost all cases, corruption results from a hardware or OS-level problem. 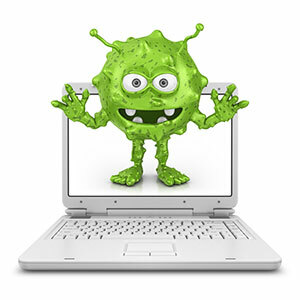 These can include the computer crashing due to a kernel panic, hardware fault, or power outage, any of which can prevent Lightroom writing to the catalog safely. Catalogs also become corrupted if the connection to the drive cuts out while Lightroom is writing to the catalog, for example, as a result of an external drive being accidentally disconnected or the catalog being stored on a network drive (via an unsupported hack). How do I prevent catalog corruption? A little bit of common sense goes a long way in protecting your work. 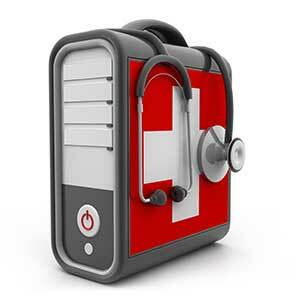 Back up regularly, and keep older catalog backups. Always shut your computer down properly. Consider using a UPS to avoid unexpected power outages. Don’t disconnect an external drive while Lightroom is open. Enable Test integrity and Optimize catalog in the Backup dialog. If they have trouble running, it’ll give you a clue that something may be wrong. My catalog’s corrupted – how do I fix it? If Lightroom warns that your catalog is corrupted, it also offers to try to repair it for you. In many cases the corruption can be repaired automatically, but it depends on how it’s happened. If Lightroom can’t repair the corruption, you’ll need to restore your backup catalog. That’s why we make frequent backups, after all! I’ve been hearing of a lot of people going back to using the sidecar option. Would this help to rebuild the catalog if you had to restore from backup? If you have a backup catalog, XMP sidecars won’t help but they won’t hinder either. They can be helpful if you don’t have a backup, although it’s worth noting that they’re missing things like flags, virtual copies, collection membership, Develop History, Develop panel switches, and a few other things like that, so a proper backup is still a better choice. Lr will always ask if you want to back up your files which I do. How do I go about backing up my files every time I open Lr and work on any files? Why wait for Lr to prompt me? Hi Berlin. If you go to Catalog Settings (under Edit menu on Windows, or Lightroom menu on Mac), you can change the backup frequency to “Every time Lightroom quits”. Sorry, this question isn’t about catalog corruption, but hope you might have an answer. When I’m in the import dialog view, I always have sort by capture time selected, however once the images are importing they aren’t always sorted by capture time. Sometimes they are, but often they are sorted by ‘Added Order’, which I don’t find helpful at all. I often realize it as I am working through my files and I notice a sequence that is not in proper order (i.e. someone walking out of frame, over the course of a few photos), or I’ll notice it when I edit a file in PS and when it’s added back to LR, it’s now at the end of the images. This is while viewing images in the ‘Previous Import’ catalog. How to I set the default to always be to sort by capture time? Thank you! You can’t change the default for Previous Import – that always defaults to Added Order so that the view doesn’t keep shuffling while the import is running – but if you select any other folder or collection, they’ll default to Capture Time order. Yes, the Previous Import collection always defaults to Added Order. I’ve had a catalog corruption before that lightroom couldn’t fix, along with a too old backup. Basically, what you do is: download the sqlite3 executable (depending on your operating system), and put it along with your corrupted catalog. as a bonus, you can also try to save all the work done on the preview generation, which in my case was a lot of computer-hours of preview rendering. For this you need to align the name of your new catalog, with the name of your previews folder (make a copy of both first, just in case!). If all goes well, lightroom will pick the name of the previews folder and use it, saving you from re-rendering the standard previews (thousands in my case). Also, you might have corruption in your previews catalogs. There are two files, both located within the previews folder. Those are root-pixels.db and previews.db . Just like the catalog .lrcat file, those are also sqlite3 databases. As such, you can try to repair them if they become corrupted using sqlite3.exe, in the same exact way as you can repair the catalog – just change the file names/locations. Just my two cents – good luck with your repairing! That’s good news that you didn’t lose much. If anyone wants to try that, it would be worth working on a duplicate catalog. I also have a contact at Adobe who is able to rescue some catalogs that can’t be repaired using the automated repair process. That contact at Adobe is probably using a similar technique – LR could not repair my catalog at all, whereas the steps I described above worked for me – hope they help somebody else too! I’m pretty certain now the cause was leaving lightroom open overnight. Then having the computer restart because of power outages and/or overnight updates from microsoft. Whilst i could tell the computer had restarted I didn’t think to check the lightroom catalogued was ok.
2) I have set up to automatically write the XMP side care files whenever I edit a raw photo, or add metadata or a ranking. 3) I write a special collection tag into my metadata starting with a ~ sign that identifies which collection(s) a photo should be in. Thanks for sharing your experience. The issues you describe are very very rare, so I would guess that it’s not actually Lightroom that’s causing the problem, but something external like the drive connection dropping or a sync problem. Where’s your catalog stored? I have been a Lightroom user since LR2. My operating system is Mac OS currently using El Capitan 10.11.03. I installed LR6 last month progressively getting to 6.3. I experienced no problems with 6.3. On Monday 22 Feb I noticed there was an upgrade to 6.4. I backed up my catalogue and downloaded the upgrade and installed it. Yesterday LR6.4 worked fine until I came to back-up on shutting down. The action progress bar would not advance beyond ‘checking the catalog integrity’. So currently whilst I can use Lightroom (6.4) I cannot save any work. Opening LR5 (last version) doesn’t see the changes I have made so the amendments to my workflow could not be saved that way. So please what do I do to either go back to 6.3 or reinstall 6.0/1 again to recover my catalog changes? As a follow-up to the above post re my failed upgrade fro 6.3 to 6.4 I now believe the upgrade was corrupted during the download which part way through I got a message saying it was interrupted. So now the questions become: a) how do I ‘roll-back’ to 6.3 and b) are the *.dat files stored in the folder Library/cache/Adobe Camera Raw/ the ones that are unsaved changes? I still retain the old LR 5.7 so I could update that again. Then I’d try restoring a catalog – just double-click to unzip it, copy it to a temporary location like the desktop. Then open Lightroom and go to File menu > Open Catalog and navigate to the restored catalog and check the Test Integrity checkbox. If that completes, try the same with your normal working catalog, to determine whether it’s perhaps a problem in your main working catalog. At that point, I’d try updating to 6.4 again, as it’s possible that the update download was damaged. The *.dat files are just cache files – they won’t help with anything. All of your settings are stored in the catalog file. Thanks, I will try that. So the changes I made since the last catalog save that worked (Monday 22/2) is where? I thought until the catalogue was saved these files (that with the RAW file make the image I most recently created) were in a cache somewhere and accessible. Just trying to save having to redo my work. They’ll be in your current working catalog. You can check the location in the Catalog Settings dialog. They’re saved as you go along, and the backup catalog is just a duplicate of that working catalog. The download itself is failing (e.g. in the browser)? Or the installation? In the browser. I am trying to use my original download from 6.1 which works but it still will not save the catalogue on shutdown. Now I am going to check the lrcat integrity as you said. Both catalogues the original from 22 Feb and the one I saved today to desktop work and save OK. But I have lost all of my work from Tuesday and Wednesday. So now I am going to update to 6.4. Right I have updated to 6.4 and can save my catalogue as I have been used to. But the work done since the original 6.3 to 6.4 update is lost but at least it is back working. Thanks for your support. So the catalog that includes the work you’ve done on Tuesday and Wednesday can’t be opened? Or doesn’t pass the integrity check? Yesterday when I open Lightroom after reloading 6.4 the work I did Tuesday/Wednesday wasn’t there (mods to existing images) so I assume I lost it. Now I have open lightroom this morning and tried to modify a few images and then save on shutdown and I have the same thing. Stuck on ‘checking catalog integrity’. So whilst it work yesterday (admittedly without any work changes) now it doesn’t. I am at a loss. Any clues. It has been stuck going nowhere for 10minutes now. I wonder whether you have a hardware problem there somewhere. If you force quit, then run through the open/test integrity step at the beginning again, does that complete ok? I personally can’t see it as a hardware problem but ….. After the inevitable ‘force quit’ the catalogue opens OK. I have just uploaded some photos that I took yesterday with basic modifications and that saved OK on closing LR. I have removed all LR cataqlogue entries that are void just in case that was impeding a proper closing out. I’ve seen cases in the past where the catalog was on a part of the hard drive that was throwing intermittent errors, or a couple of cases where the RAM had limited damage that it was hitting. It may not be hardware, but it would be worth ruling out. That’s a little vague I’m afraid. My best guess, without additional information, is that the operating system is too old, so check the system requirements. Cancelling your order seems a little extreme – Adobe’s customer services would help get you up and running. Ah well done. Yes, it can be tricky to find the phone number, particularly out of hours. 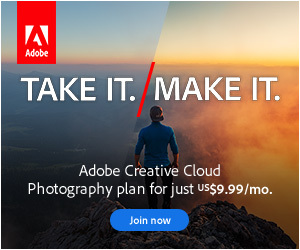 The trick is to go through their Contact Page (https://helpx.adobe.com/contact/support.html) > Creative Cloud > Installation issues. Many of the others redirect back to the forums, but that one usually offers phone or chat support when they’re available. Due to the time of year, I’d guess their hours are more limited right now. Sorry…But no it doesn’t….It’s extremely annoying and one could be excused for thinking they are dodging the support responsibility. Very strange, as I’ve just tested it here and it’s coming up ok. Perhaps try it with these options selected? I have a corrupted catalog and spent 30 min with Adobe Help telling me that the version saved on my nightly Mac time machine backup isn’t safe to use, that I might lose images if I try to use it. Is that really a risk? My backup is 8 days old, which isn’t the end of the world but it’s a lot of work to reproduce. No, your TM backup is probably fine. See if you can find the most recent one that doesn’t have an .lrcat.lock file next to it. That one is your best bet, as it was captured when Lightroom was closed. The others are unlikely to lose the actual image files, but may not include those usages, because they haven’t been written to the main database yet.